Every fall Facebook reminds me of the many memories from my semester living in Paris. It was three years ago that I packed my bags and moved to a small apartment in Montmartre with two of my classmates. Almost every night we enjoyed glasses bottles of wine while looking out our living room window at the lively square below. 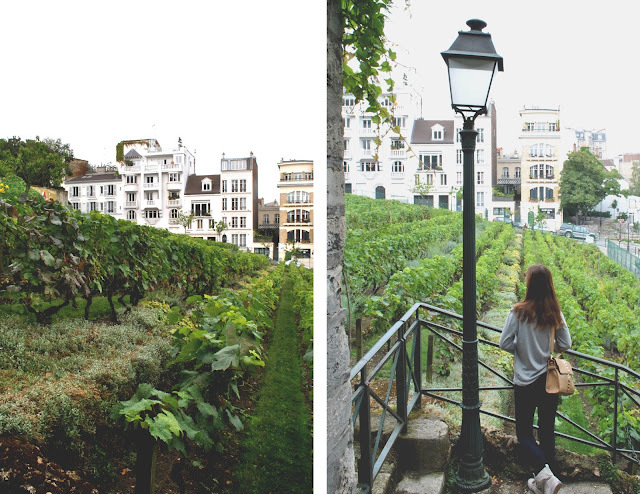 One afternoon, during my first month of living in Montmartre, I escaped from my studies to venture to the last vineyard in Paris. Conveniently located five minutes away from our apartment, the Montmartre vineyard is an enchanting retreat from the tourist filled streets. As you pass under the Musee de Montmartre sign you enter a quiet garden and the entrance to 12 rue Cortot. Built in the seventeenth as a Bel Air house it is the oldest building in Montmartre. Auguste Renoir, Suzanne Valadon and Emile Bernard were just some of the few artists who had their studios tucked away inside. If you get a chance to go inside you will find a collection of composed drawings, paintings and posters that illustrate the colorful history of Montmartre. The quite garden you first enter is one of three gardens dedicated to Renoir and in memory of when he lived at 12 rue Cortot. During his stay he painted several of his masterpieces – The Moulin de la Galette (le Bal du Moulin de la Galette) and Rue Cortot Garden (Jardin de la rue Cortot). The gardens and view of the vineyard transport you to the French countryside and you forget you are just a few steps away from one of Paris’s famous landmarks, Sacre Coeur. Walking through Renoir’s gardens to the vineyard I felt I had found a little hidden gem. That place looks so beautiful and your pictures are amazing. It looks like you had a great experience. Thank you for the kind comment =o) I'm so happy you liked my post about the Paris vineyard! Really nice shots. This place looks so lovely. Montmartre is one of the cosiest places in Paris! Isn't Montmartre one of the best neighborhoods in Paris =o) I loved living there! Such a beautiful spot!!! I was in Paris last year but I didn't have the chance to visit this place. Oh my! You know, I've been to Paris twice and I think I passed this vineyard on my second visit, but I've never been! There are always great reasons to re-visit Paris, and this is one of them! Exactly! It's always fun revisiting a place and seeing more =o) Thanks for the sweet comment! Montmartre looks like a lovely place, your photography is stunning. I really want to go there! It's been far too long since I went travelling. Such a beautiful place!! Stunning shots! Gorgeous photos! Adding this to my list of places to visit! Such gorgeous photos! I'd love to go back to Paris. I am always so jealous of people who studied in another country or lived there for some time. I wish I could go back in time and move to Paris! Oh, I see one day I really should visit Paris! Thanks for the wonderful pictures! Oh my gosh! This is on my euro trip list! wow! looks like such a beautiful place! The photos look amazing! It's a dream of mine to visit Paris. Beautiful pictures - and what a fabulous post name! It was hard to stay focused on my studies in Paris with so many beautiful distractions =o) Thank you for the kind comment! Thank you I'm so glad you like my post! Your time in Paris sounds fantastic! 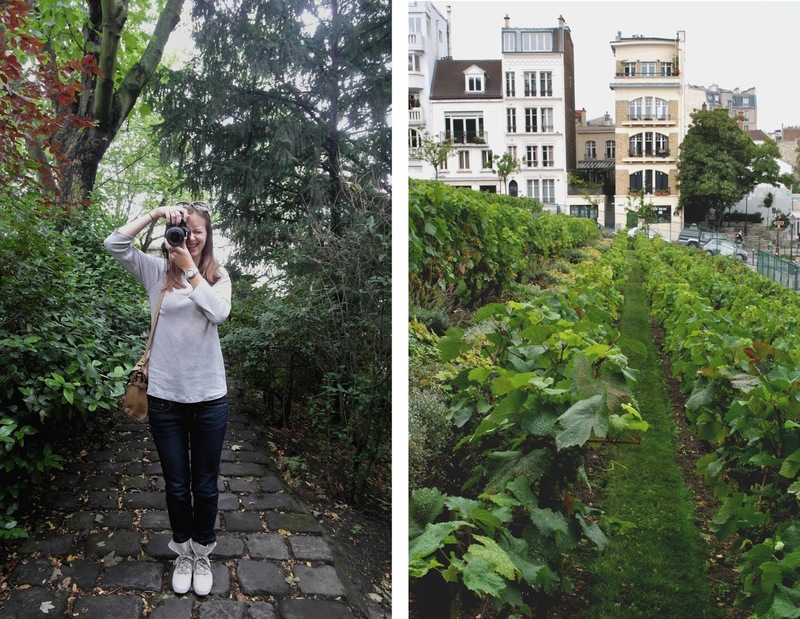 The Montmartre vineyard looks like a charming hidden gem! 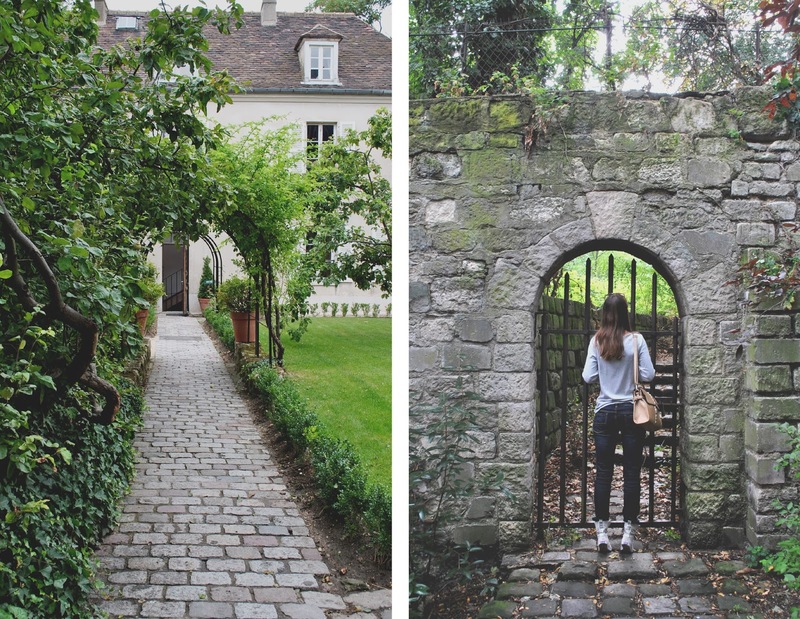 These photos are so lovely and make me miss Paris so much! France is always a good Idea!I love your pictures! These pictures you've taken are so beautiful, fell in love with this place! P.S don't you have Facebook for reminding you of all the fun you had? Montmartre is a beautiful neighborhood, you are so lucky to have been able to live there! These photographs are so gorgeous! France is very high on my travel wish list! Thank you! I hope you get to visit France one day =o) You would love it!